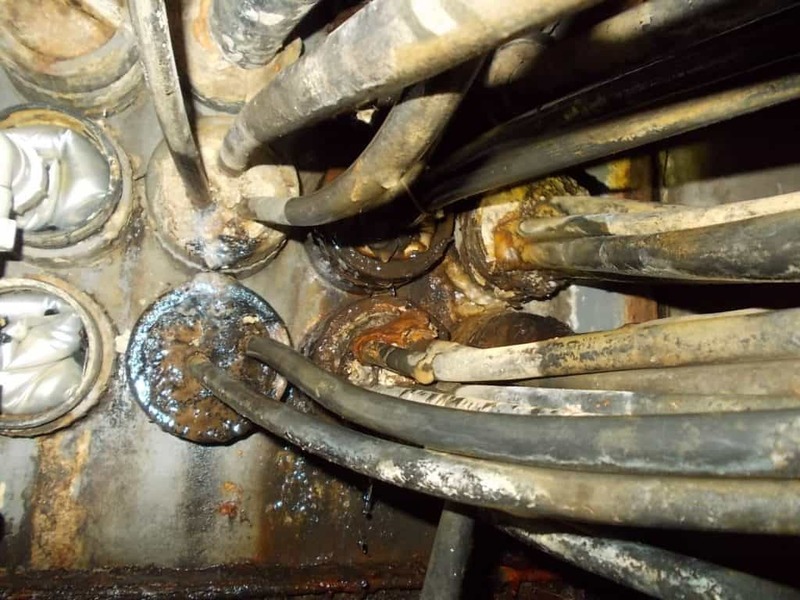 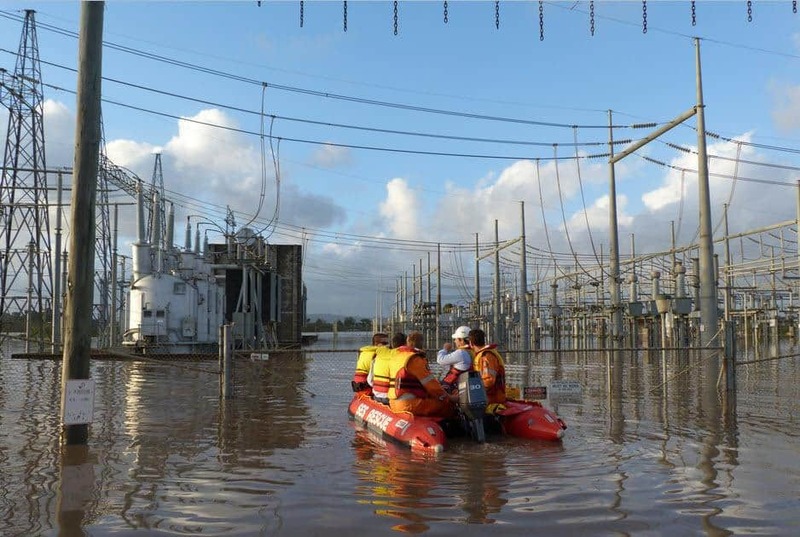 ➡ Failure to correctly and effectively seal cable ducts can inflict catastrophic damage to LV-HV electrical distribution networks, substations and power supply. 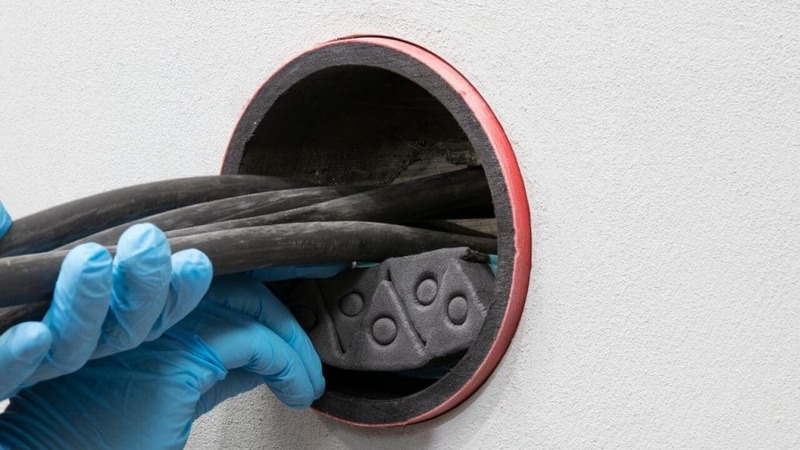 View below our complete ranges of Duct Sealing Products including cable transits to provide a watertight seal and defence against flood damage to low, medium and high voltage cable ducts with additional protection against harmful flammable gas migration and fire spread. 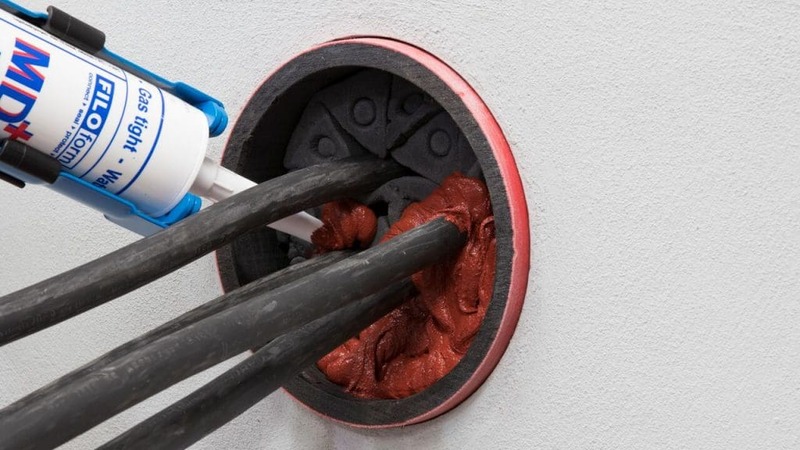 Duct seals are installed by contractors to reinforce the flood defences of MV-HV substations housing critical medium and high voltage power cables and electrical equipment, typically at medium voltage ( 11kV/33kV), high voltage (66kV-132kV) and transmission and distribution grid networks – we can provide expert technical specification, onsite installer training and fast delivery from stock to UK and international projects for both cable ducts and duct seals. 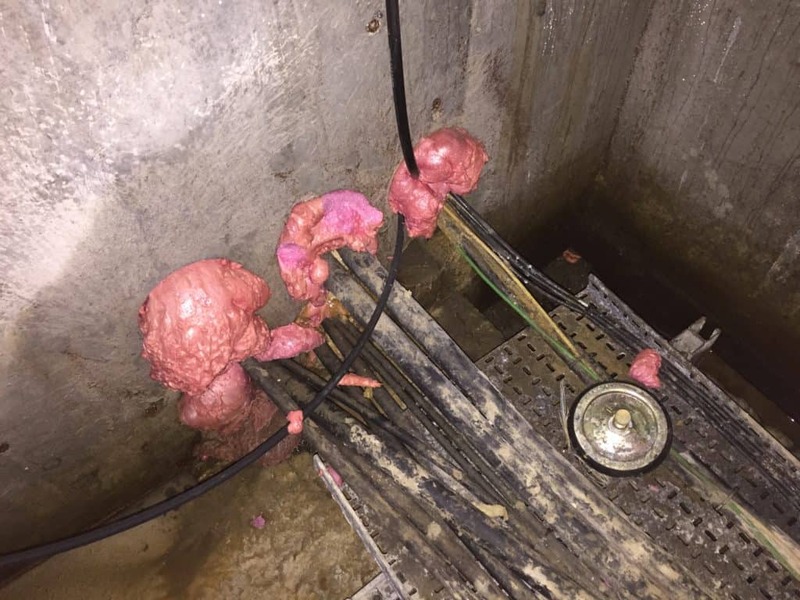 In the UK the DNO’s (Distribution Network Operator) hold a statutory requirement to prevent danger due to the influx of water, or any noxious or explosive liquid, hydrocarbon or gas from the surrounding ground into substations, street boxes and buildings. 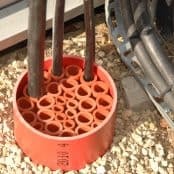 The electric utility will have an approved method and material to seal ducts in all new, altered or retro-fitted cable installations. 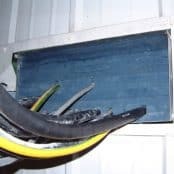 These entries such as open cable ducts entering substations or buildings should be sealed with or without cables installed to prevent ingress of water and gas – a common reference point in the UK is Engineering Recommendation ENA-ER G17/3 Leakage Of Flammable Gases. 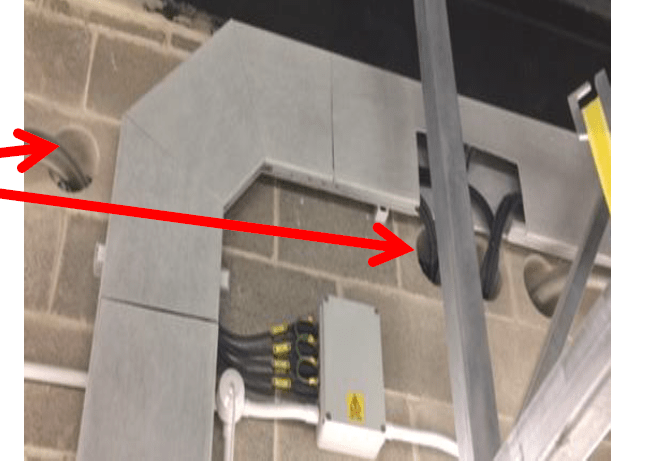 The picture opposite shows unsealed electrical ducting and void openings located at a waste water treatment (WTW) plant – the open cable ducts undermine the purpose of the nearby fire door and should be sealed using fire rated cable duct seals. 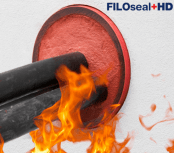 Typically duct seals should conform to BSEN1366 Part 3 (Fire Resistance Tests For Service Installations. 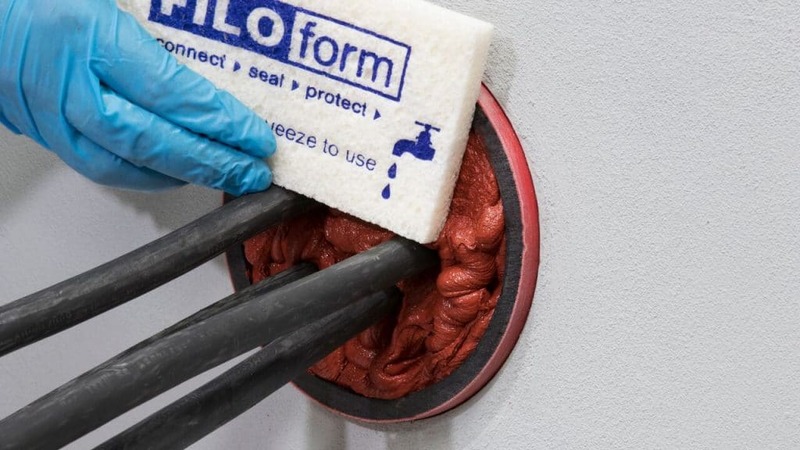 Penetration Seals) – the integrity and insulation protection provided by the fire rated duct sealant will ensure up to 4 hours fire resistance in ducts. 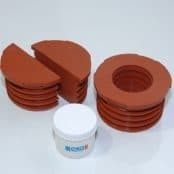 The seals can be customised to suit fire rated sealing applications including substation ducts, partitions, walls, floors, and construction systems including MV-HV switch rooms and transformer grids. 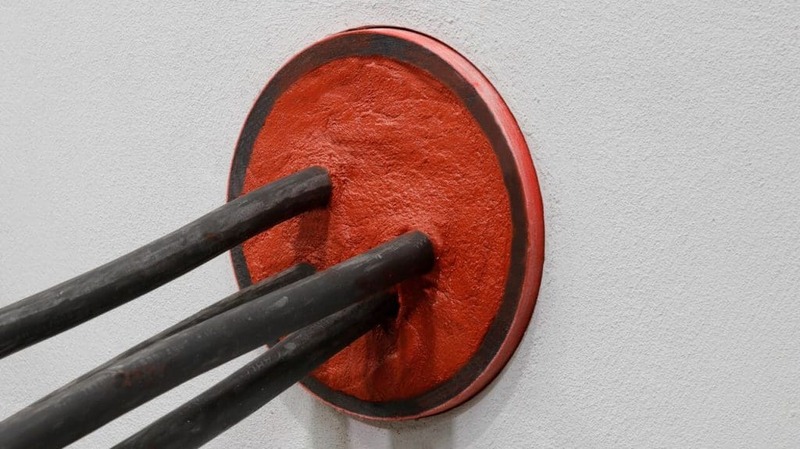 T&D distribute proven cable duct sealing products from leading manufacturers CSD Sealing Systems and Filoform with widespread utility approvals and industry acceptance as trusted alternatives to traditional “sticky and tricky” to install mastic seals or regulation violating expanding foam – these duct seal products are technically advanced cable sealing solutions designed to provide guaranteed protection of clients assets without the risk of failure. 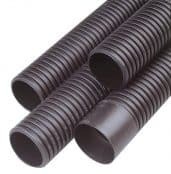 CSD RISE cable duct seals are specified throughout the electric and water utility networks to provide protection of ducts and duct openings against the dangers of water ingress and gas migration with up to 4 hour fire resistance to the spread of flame where cables penetrate fire rated boundaries and building openings – the watertight, gastight and fire resistant seals provide duct protection with accelerated age tests concluding a 50 year level of protection. 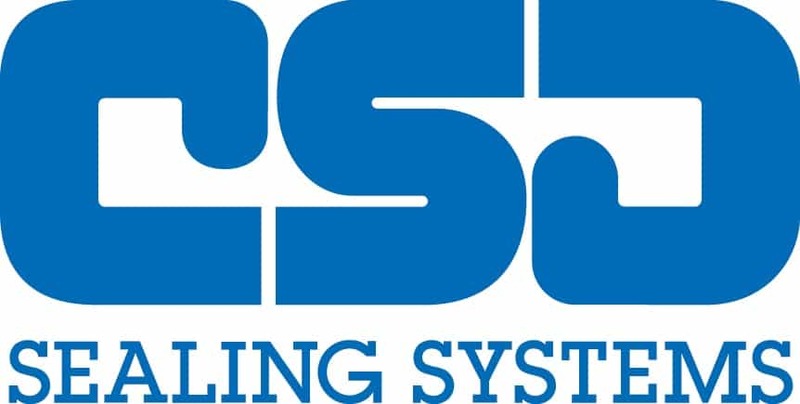 T&D are Approved Distributors for CSD providing competitive prices, technical advice and site installation support for duct seals manufactured by CSD Sealing Systems. 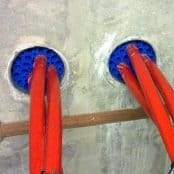 Specialist sealing systems are available for cable duct installations under running water conditions – contact T&D for more info.